Longtime ASCE member and award-winning wastewater treatment leader and innovator Walt Bailey stands with the plaque announcing the new DC Water facility as his namesake. Walter Bailey, P.E., M.ASCE, poured 15 years of blood, sweat, and tears into planning and building the new anaerobic digester facility that just began operations at Washington, DC’s Blue Plains Advanced Wastewater Treatment Plant, then retired just before it opened. The city’s water district recognized Bailey’s extraordinary efforts by naming the facility for him. 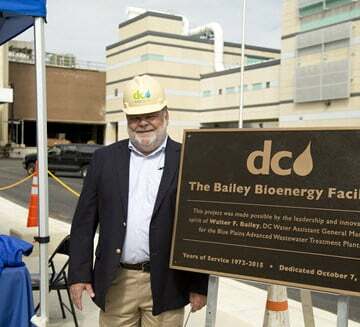 Opened Oct. 7, the new Bailey Bioenergy Facility in Washington, DC, honors the former assistant general manager at Blue Plains and ASCE member since 1982. 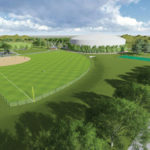 The digester is the first of its kind in North America, using a special kind of thermal hydrolysis to generate clean, renewable energy from wastewater. “I was shocked,” Bailey said. “It’s very moving. I’m very thankful. I’d worked on [the facility] for a long time. I was really satisfied to see it come into being and start up and operate as we expected it to operate – very well; the performance was excellent. 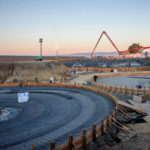 The $470 million digester produces a net 10 megawatts of electricity from the wastewater treatment process – about one-third of the Blue Plains energy needs – and the resulting Class A biosolids are cleaner than current regulations require. Bailey has long been an innovator in environmental engineering, having had his passions for it sparked as an undergraduate at Virginia Tech by legendary educator, Cliff Randall, Ph.D., Dist.M.ASCE. Bailey has received two U.S. patents for developing treatment processes at Blue Plains and has won numerous awards during his career. For Hawkins, Bailey’s true genius lies in his ability to lead. 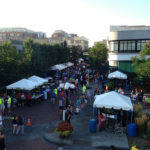 He cited his expertise, his listening skills, his drive to innovate, and his humility as crucial to uniting the Blue Plains team of leaders – Aklile Tesfaye, Salil Kharkar, Chris Peot, and Sudhir Murthy – on this project. “This was just a tremendous team and I think that was because of how Walt put the team together and had each of these players working so well. 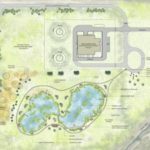 We wouldn’t have had that facility if everyone on the group hadn’t done their part,” Hawkins said. “Walt was the head of the orchestra. He was the one standing out in front as the conductor. Bailey will continue to work for DC Water as a part-time consultant, and is looking forward to some much deserved time with his family while enjoying a new house on Hatteras Island, NC. He’s earned it. Just look at the plaque.